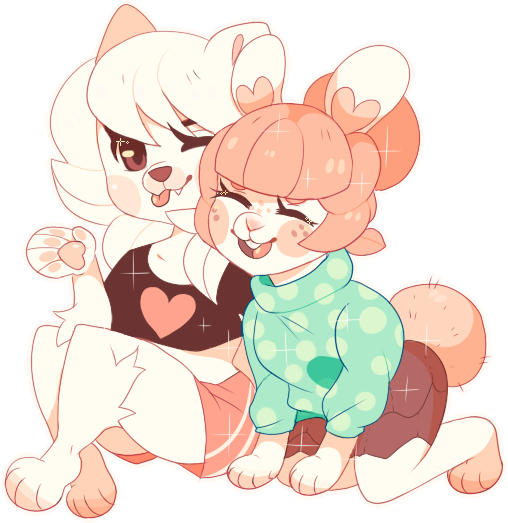 Blushpaws is creating cute art, designs, and fluffy things! Hello! 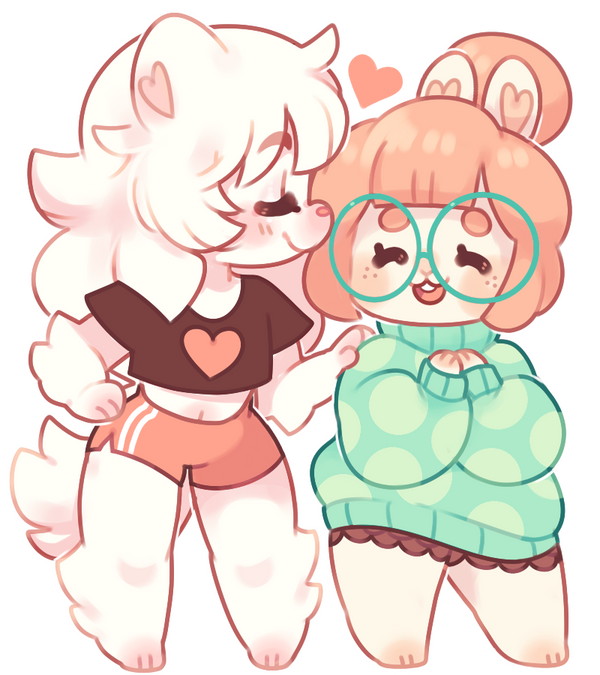 We go by the names Blushbun & Pomiepup (we're engaged!) and we enjoy making cute art and working on our ever growing world of characters! We work as freelancers from home and like to have our hands in a lot of different kinds of media. Ever since we were young, we've always wanted to make a career out of creating content for people to enjoy, and though it can be hard to sustain ourselves that way at times, being able to do it means everything to us. We both share this passion of working together to make content to share with the internet, and in this day and age that has been becoming more possible than some people like to think. 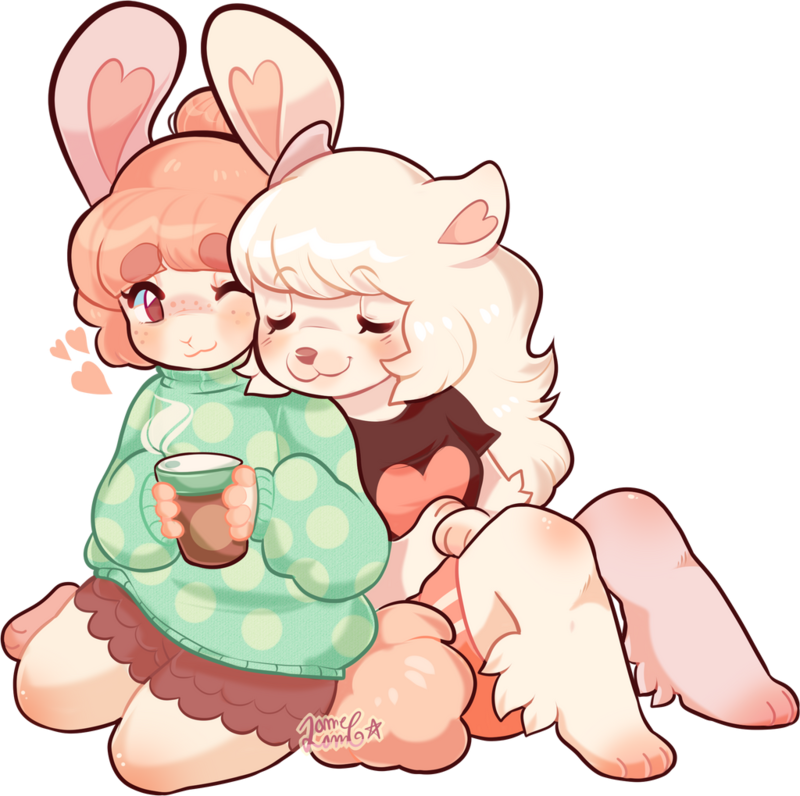 Often you'll find us posting cute art, adoptables/designs, commissioned work, and art of our species! This also includes maintaining the communities that are always growing and doing our best to keep everyone happy! It's not especially easy but it's so much fun and extremely rewarding. We're always aiming to improve our art and especially our species so that we can bring more people in to love and enjoy them! We've got a lot of projects in mind, we just need the time to dedicate to them. Why is our work important to us? 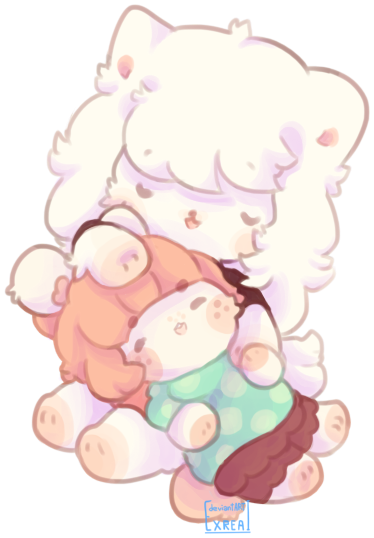 With the help of Pomie, I'm able to get a lot of work done for the deviantart account! However, other responsibilities tie us down, making it so we're not always able to be 100% active, though we do what we can. We don't have any other job besides creating content for the web and I know we wouldn't want it any other way. If we had what people considered to be "normal jobs" there's a very big chance we wouldn't be around eachother the way we are now, and as much as that would hurt our hearts, it could hurt us mentally to. As for me, Blushbun, a big part of the reason why working from home is so important to me is that I have severe anxiety, especially social anxiety. I've been on and off medication to help control it as of recent, but it's affected me since I was very young. While if I absolutely had to, I would try my best to find a "normal job" and deal with people socially, the thought of it ever coming to that makes me feel absolutely terrified. However, my work is much more than just being able to work from home. I, and Pomiepup do this so we can better our lives together. Currently our living situation isn't ideal as we're saving until we can find a home of our own (which i hope is drawing near!! ), but it is still a better option than going out before we're financially ready. Would another job get us to this goal faster? I'm sure it would, however we're making a career out of something we love and we're doing it together. We are rarely ever apart aside from maybe leaving the room for a couple minutes. Not only is art and creating content for everyone important to us, but being able to be with each other, and not have to separate due to different jobs means more to us than anyone could ever know. Being able to wake up every morning and work along side Pomie, work on something we both love, is something we couldn't imagine being any other way. ❤ Thank you so much for your support!!! You place a tiny seedling into the soft soil. You sprinkle some water from your pail onto the seedling, it grows! You sprinkle some special fertilizer onto the sprout, it blooms! this will help out so much and make it a lot easier to focus on deviantart more!